Land of Thailand belongs to the Thais. Thais are peace-loving, no cowards at distress. They shall allow no one to rob them of freedom. full of victory. Chai Yo (Cheers). 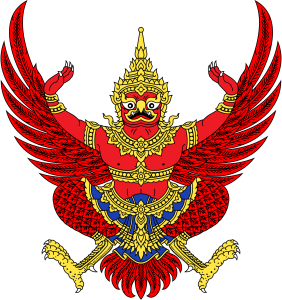 The God Garuda is the Emblem of Thailand.Garuda is the Vehicule of Vishnu.